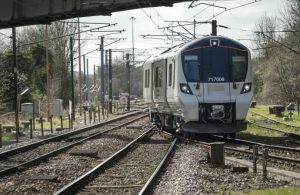 Govia Thameslink Railway awarded Siemens a GBP 240 million (EUR 280.7 million) contract for the supply of 25 new six-car Siemens Class 717 trains. The new trains will run on the Great Northern routes between Moorgate and Hertfordshire, to and from Stevenage, Hertford North and Welwyn Garden City. The new trains will have a capacity for 940 passengers, with an 11% increase compared to the old trains. They will be fitted with air-conditioning, Wi-Fi and plug sockets at every pair of seats. The new trains will replace the old ones which provide transport since 1976, which travelled 4.8 million km (3 million miles) since they were introduced in August 1976. “We are transforming our passengers’ journeys by replacing their cramped, outdated 40-year-old trains, which are the oldest electrical units in mainland Britain, with fully-accessible, spacious, modern air-conditioned units with the latest in passenger information, onboard Wi-Fi and power points at every pair of seats,” Gerry McFadden, Engineering Director at GTR, said.